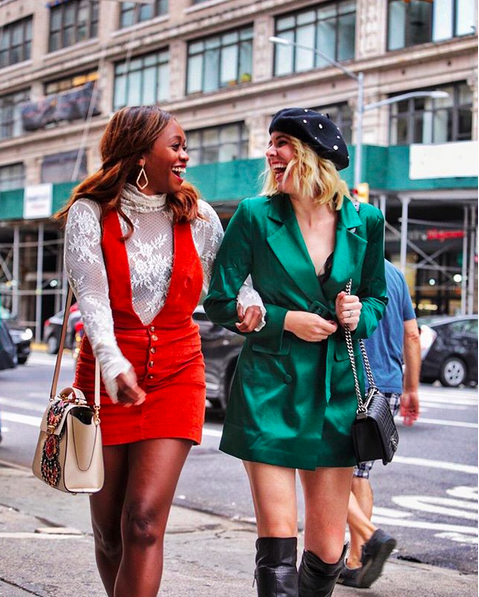 While it’s the spring/summer 2019 fashion that is on display on the runway’s during New York Fashion Week in September, it’s fall fashion all the way when it comes to street style. I love attending NYFW for this exact reason; getting to see the biggest fall trends from NYFW. Below I have rounded up 6 of the biggest fall trends from NYFW. For each trend, I’m sharing outfit photos from fashion bloggers who attend/wore these looks at New York Fashion Week. You can click on each photo to be taken to that blogger’s instagram page if you want outfit details; or to follow along with them. For each trend I’m sharing style tips and ideas for how you can wear the trend this fall. I’ll also include my favorite available-right-now pieces that showcase each trend. Let’s get to it! The trend I noticed most this year on the streets for New York Fashion Week was definitely statement sleeves. Everything from blouses with tiered sleeves (like above) to blazers with bell sleeves. The great thing about this trend is that it is so versatile and you can make it your own, whatever your style. If you’re more interested in conservative dressing, go with a bell sleeved blazer or a crisp white button down with a flared sleeve. 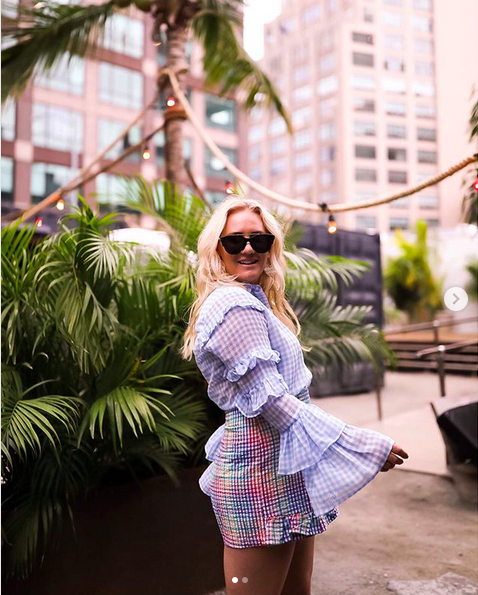 If you want something more fun and trendy pair shirts with dramatic ruffles or tiers with a fun mini skirt, high waisted pants, under a jumper, etc. The options are endless with this one! An unexpected trend for fall this year is satin dresses. We see a lot of satin in the spring every year, but this year satin dresses are a staple of the fashionistas’ fall wardrobe. 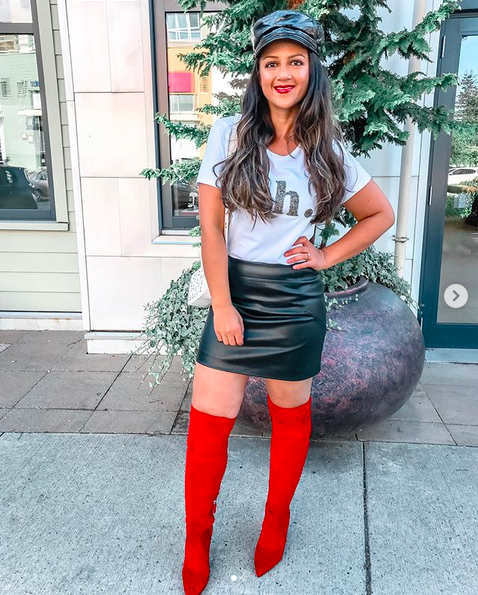 To wear this trend and not feel a) like you’re wearing a night gown or b) like you’re wearing a material for spring/summer, pair it with more classic fall pieces such as a pair of ankle boots or a faux leather jacket. For the third year in a row, OTK boots are trending for fall. Honestly any fashion trend that can look chic but actually keep you warm is a serious win in my books. This year in addition to the classic black/grey/tan suede OTK boots, look for boots that make more of a statement. Colored ones – royal blue and red especially – are right on trend. Also on trend are velvet (as opposed to the classic suede), and boots with lace-up details. If you’re not familiar with the term, essentially a pinafore dress is any dress that is sleeveless and intended to be worn over a top/blouse. This is my personal favorite one of the biggest fall trends from NYFW. I love the mod 70’s look that these dresses evoke. I also like that this is trend is something that we haven’t seen ‘trending’ in recent years. It’s nice to get a fresh new style to try out. As far as styling a pinafore dress; it’s really quite simple. Find a cute blouse to wear under it and you are good to go! 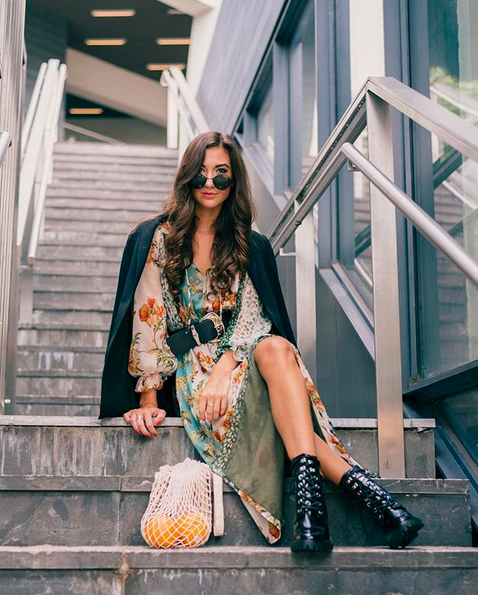 Try pairing your dress/blouse with ankle boots for fall. Adding in a hat (floppy, news boy or beret) is also a great way to up the trendy fall factor. 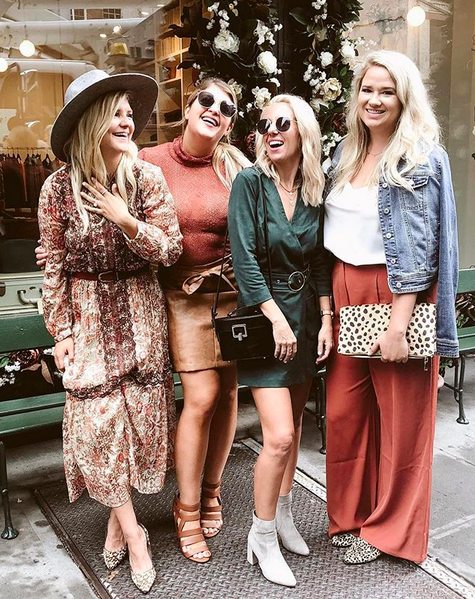 I like this trend a lot because it is really easy for anyone to incorporate into their fall style. Simple as it sounds: one of the biggest fall trends from NYFW is wearing dramatic, statement belts. This season wear a dramatic belt with a dress, over a blazer/jacket or even over a fall/winter coat for an easy on trend look. The final trend on this “biggest fall trends from NYFW” list is earth tones. 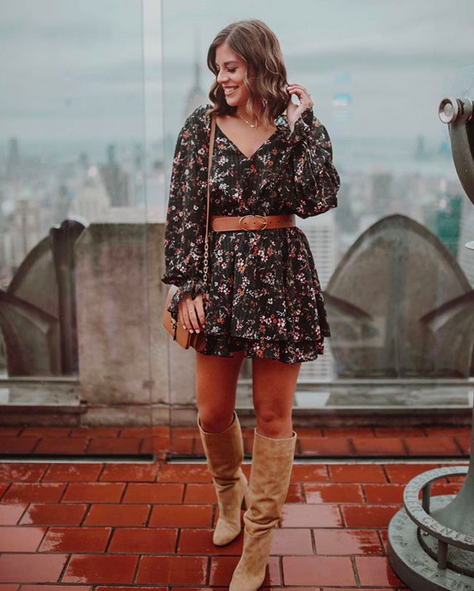 It’s not exactly groundbreaking to see earth tones in fall (…cue Devil Wears Prada Miranda Priestly voice “Florals for spring? Groundbreaking” haha) The past years though, jewel tones have been trending for fall (royal blue, emerald, etc.) so it is a nice change that this year more than ever we are seeing lots of rust, brown and tan shades. 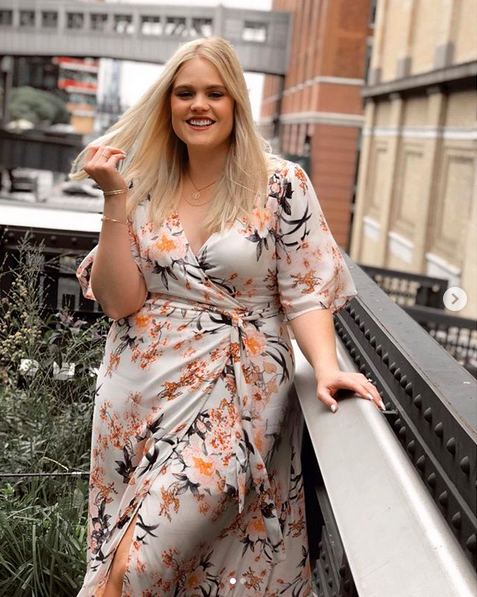 Check out these gorgeous outfits below for some style inspo! I hope you liked this roundup of the 6 biggest fall trends from NYFW! I’m already missing New York, but it is nice to actually be spending some time back home in Vancouver. This weekend is Thanksgiving here in Canada, and I could not be more excited for a long weekend filled with family time (my sister is coming in to town with her two kiddos). I’m hoping to take the tiny humans to this pumpkin patch/corn maze about an hour from the city that looks absolutely incredible. 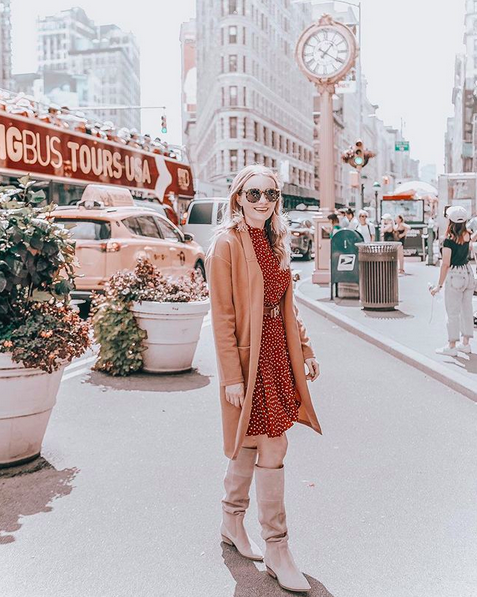 Other than that my weekend plans include: eating pumpkin pie, drinking pumpkin spice lattes, and basically reveling in the fact that I am incredibly basic when it comes to my obsession with fall lol. Have a great week everyone! Come back Friday for another outfit post! I am loving all these trends. They are fun and easy to incorporate. So many great inspirations too. So thankful you shared this blog! 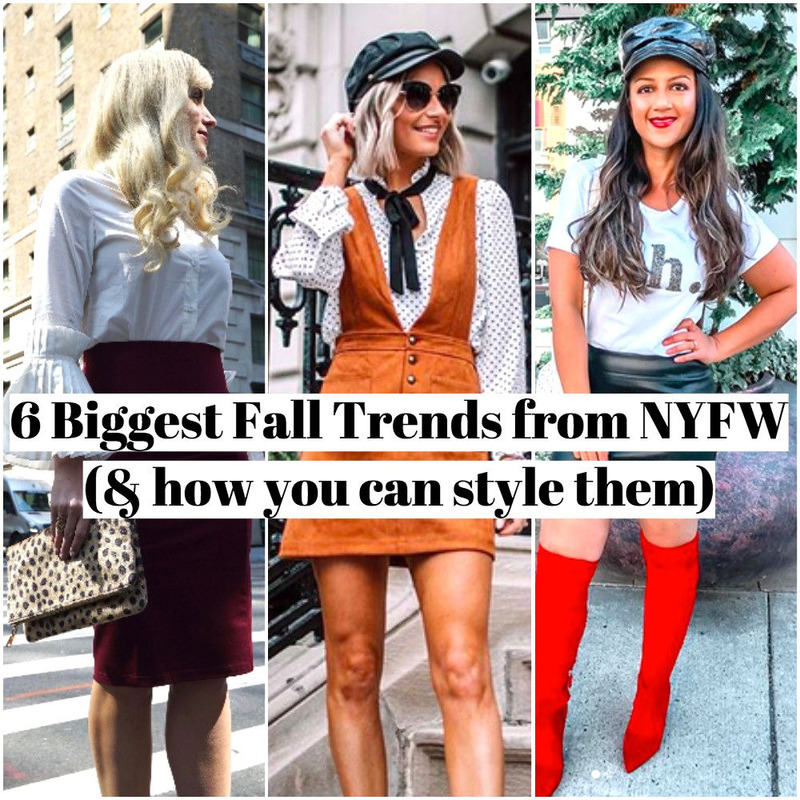 I have been looking for the best fall trends this year and where to find them! Aw I’m so glad you like it Kels! Thanks for reading! I’m so in love with statement sleeves right now! Right?! They just feel so glamorous. The only thing I don’t like is when you go to eat while wearing them and realize what a pain/challenge it is lol. I love a good statement sleeve top during fall/ winter! I really love the statement sleeves, especially for fall! I’ve always been a fan of earth tones so I’m glad that’s a fall trend. Those are two of my faves as well! So amazing trends! Of course, I love statement sleeves but I’m on board with all of them. Haha ya girl you are the QUEEN of statement sleeves! what a great and helpful post! now i know what i should be buying this season! Aw thank you Miriam! I am so glad you liked the post! I love the satin dress and the over the knee boots. And would probably even combine them! Yes I so agree- they’d look great together! I always love seeing NYFW looks IRL and how to style them— these looks are so on trend! I love the satin and ruffles! Such pretty trends hey! I’m excited about them.